It’s a platform with short tips or advice for guys or girls. 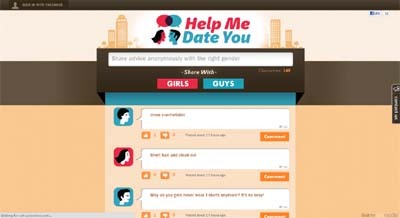 People can share tips and advice anonymously with the right gender and talk about it. It is very simple to use. No Login required; if you are logged onto Facebook a comment box automatically appear on a post view.